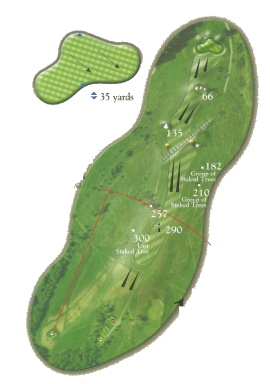 The home hole can be made in two if you are a big hitter and you play your tee shot at the marker post with a draw. 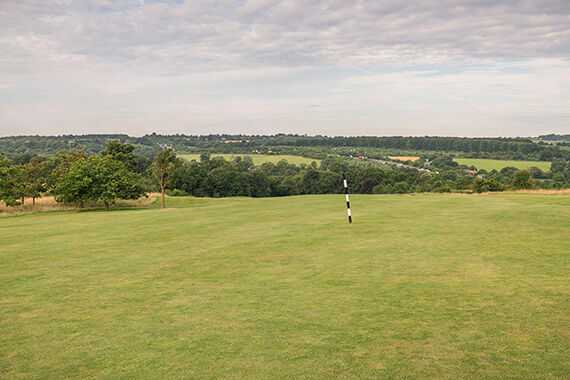 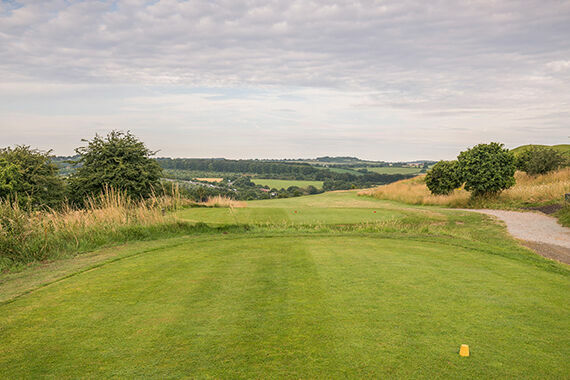 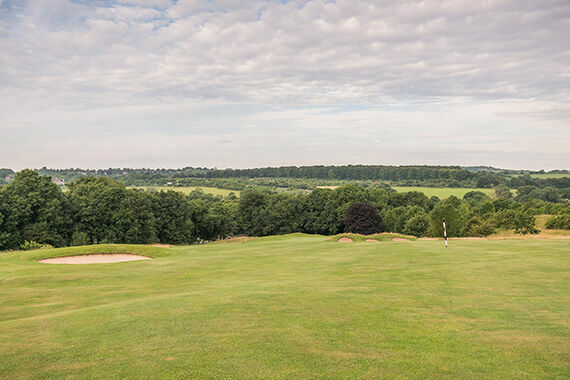 A more normal line is to aim at the marker post and play your second to favour the left side of the fairway to avoid the pod of bunkers out of view down the right. 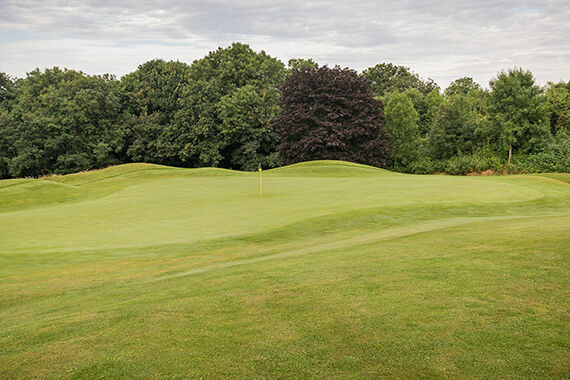 This will leave a difficult shot down to the green that may need to be dropped well short in dry conditions because this green is only 25 yards deep.